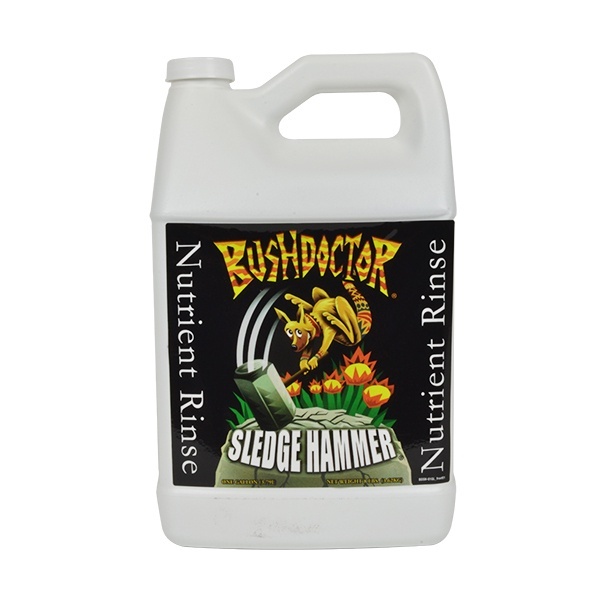 Bush Doctor® Sledgehammer® is a unique rinse formula designed to remove excess fertilizer build up. High fertilizer use can compromise plant growth over time due to concentrated mineral salt deposits. Sledgehammer® encourages water movement through soil and soilless mediums, rinsing out unwanted mineral salt residues and relieving nutrient lock up. Use in established gardens, container plantings and hydroponic systems. Bush Doctor® Sledgehammer® is the easiest clearing solution you'll ever use.